Harry N. Abrams, 9781419734984, 32pp. Joseph Coelho is a performance poet and playwright. He lives in London. Allison Colpoys is a designer and the illustrator of many books for children, including Abrams’ Captain Starfish. She lives in Melbourne, Australia. "This lyrical tale of love, change, loss, and the healing power of art and memory will move readers of all ages." "Readers mourning a grandparent or other family member may find solace through Coelho’s sentiments about love living on through cherished memories." 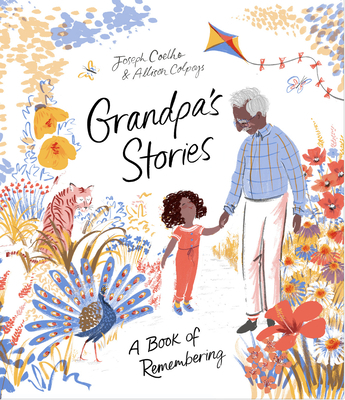 "Heartwarming, heartbreaking and inspiring, Grandpa's Stories is a must for every child's library." "This is a gentle tale about a young girl processing the death of her beloved grandpa . . . a good resource for parents and children trying to figure out ways to cope with grief."